George Timothy Simon was born in Cleveland, Ohio on March 29th, 1942 and died 77 years later to the day. He is survived by his wife of 50 years Margaret "Molly" Simon, daughter Virginia "Ginny" Holup, son Paul Simon, five grandchildren and sister Kathleen "Kathy" Schlosser. George (or Tim as many knew him) was a lifelong history lover, avid train collector and long-standing member of his church and church choir. The son of Edward William and Virginia (Wilson) Simon and a graduate of Maple Heights High School, George was active in DeMolay and Boy Scouts in his youth. He was a proud Eagle Scout. George went on to attend The Ohio State University, joined Phi Kappa Psi fraternity and eventually graduated from Case Western Reserve School of Law. In later years, he found he had a knack for refinishing furniture, and was able to help people throughout the Cleveland area with their restoration projects. George could talk at length about any subject, and felt it was his moral duty to hold the line against change for change’s sake. In his professional life, George was a corporate attorney, but he preferred to be on stage with the Cleveland Opera Chorus or the Cleveland Orchestra Chorus – two groups that he was able to be a part of for several productions. George believed in doing what was right, and served his country in Vietnam when it was deeply unpopular to do so. He gave excellent advice. His intelligence, humor, warm hands and twinkling eyes will be sorely missed by all who knew him. 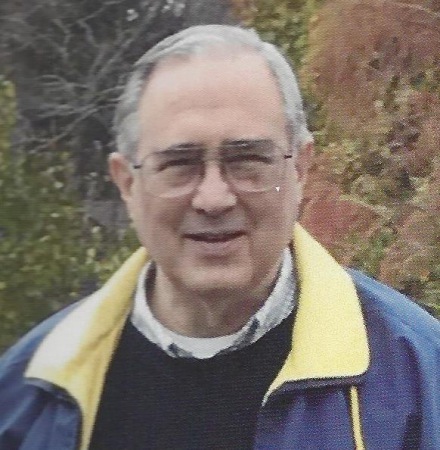 Memorial services will be held at St. Peter’s Episcopal Church in Lakewood, Ohio on Thursday, April 4that 11:00 a.m. Those wishing to greet the family will be welcome at 10:00 a.m. In lieu of flowers, donations to St. Peter’s music ministry would be appreciated.